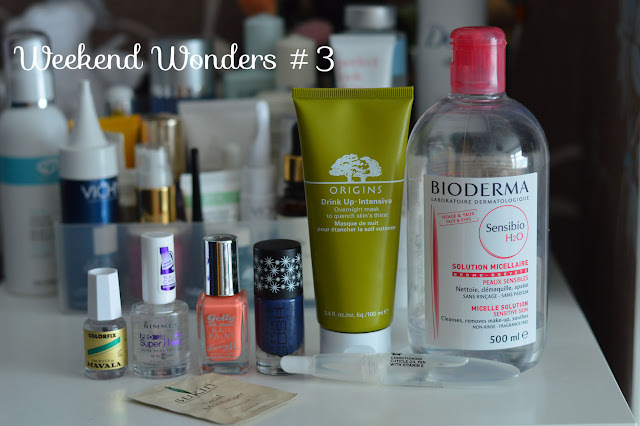 This weekend wonders mainly consists of skincare and nails, so lets start with the skincare. I'm almost at the end of my Bioderma (sobs) luckily it's now becoming easier to source in UK so...relax. This is the don/staple/holy grail of all eye-makeup removers, great at removing stubborn mascara and eyeliner. Oh and lipstick. I want to try the green version next, the one suitable for combination/oily skin types. The silly weather is really taking its toll on my skin, one minute it's dry next it's greasy. The one saving grace product which always seems to balance out my skin is the Origins Drink Up-Intensive Overnight Moisture Mask. Smells very fruity, it is a little on the tacky side but is amazing for dry/dehydrated skin. In the morning I dampen a cotton pad with Bioderma and remove any left over residue. My skin looks amazing after using this, plump, hydrated and even. I know not everyone's skin reacts the same so this may not work for everyone but I think it would be great to use if you have dry skin. I've just finished a little sample of a day cream from the brand Sukin, a new brand to myself. The Australian brand uses generous amounts of active botanicals, essential oils and natural ingredients. The Facial Moisturiser is paraben free and free from other nasties. The texture and smell is different but in a good way. The moisturiser is light and sinks into the skin easily, the smell is clean cut and refreshing. Amazing natural extracts of Rose Hip, Horsetail, Burdock, Nettle, Tangerine, Mandarin peel, Lavender, Vanilla and Grapefruit. I can't quite believe all these extracts are packed into a moisturiser for a fabulous price. Sukin are also very generous with their sizes. I'm currently using the Sukin Night Cream review to follow shortly. Sukin is a brand to look out for, so far I have been very impressed with their branding and products. I'm really keen to try more of their skincare range. Nail painting has become a regular occurrence lately, I've really got the bug for painted nails. We have been blessed with some sunny days but not many, but on the rare occasions when we have I've been reaching for the coral shades. One of my favourite corals is from the new Barry M Gelly Nail Paint range, the shade Papaya. This is a gorgeous pastel coral, great for the fingers and toes. I really want to try more shades so please leave any suggestions below on what shades you're wearing. The finish is glossy and rich in colour. 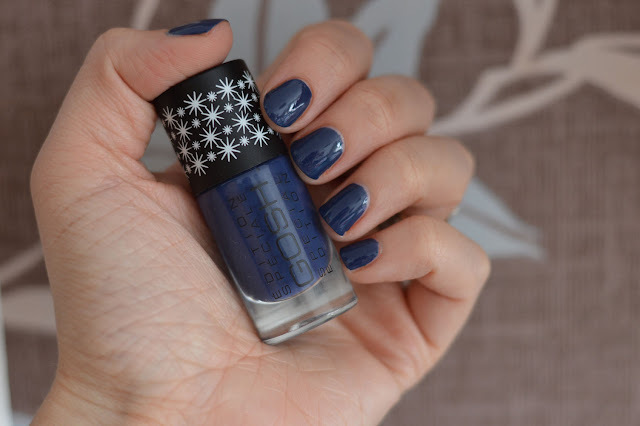 My favourite brands at the moment are KIKO, GOSH and Barry M. I'm currently wearing Tilted Blue a new polish from the limited edition GOSH Spring/Summer range. 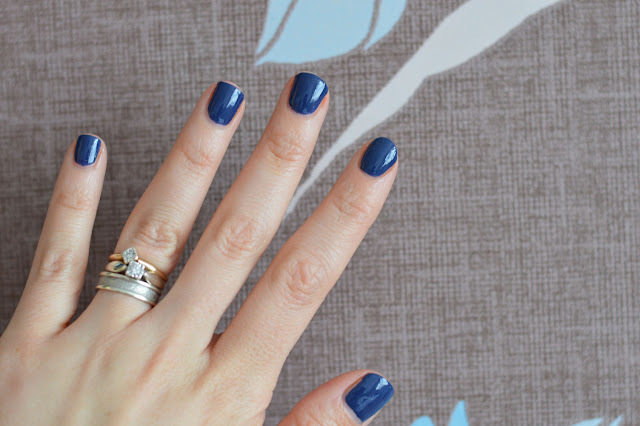 A stunning navy/denim shade, long lasting and a glossy finish. I took a photo showing the shade with a coat of Mavala Colorfix over the top. I will be sharing the other shades very soon so keep a look out! Whilst we're on the nail subject I've nearly used up all of the Mavala Colorfix, this acts as a top coat and colour restorer. I use this a few days after applying my polish, it brightens it back up and looks looks fresh and new again. The finish is glossy and shiny so it's a win win for me. 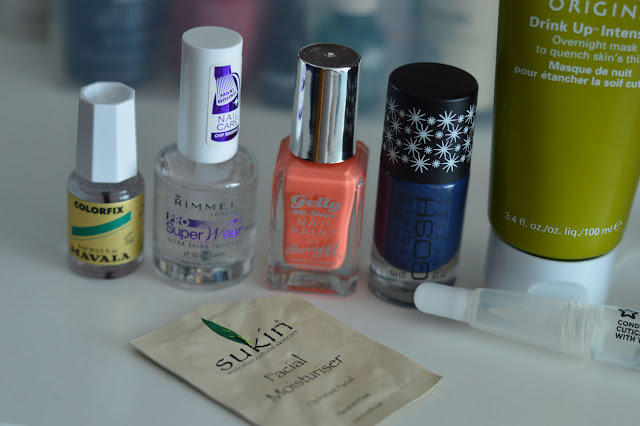 The final two weekend wonders are Rimmel's Pro Super Wear top coat, I love the wide chunky brush. One stroke and you're done and super fast drying time. The last weekend wonder needs no introduction, the Superdrug Cuticle Oil Pen. A MUST HAVE...in my opinion!